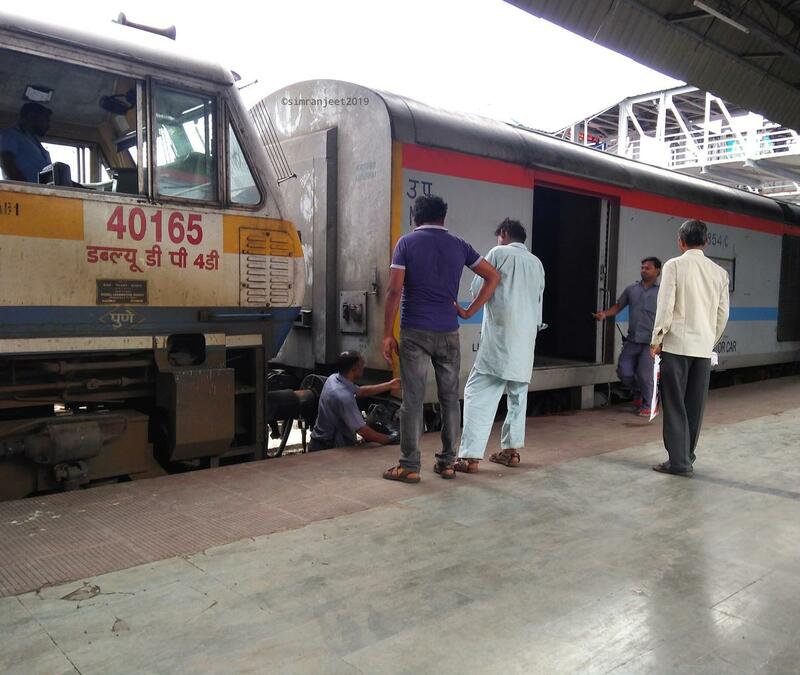 A short Railfanning session at Hazur Sahib Nanded. 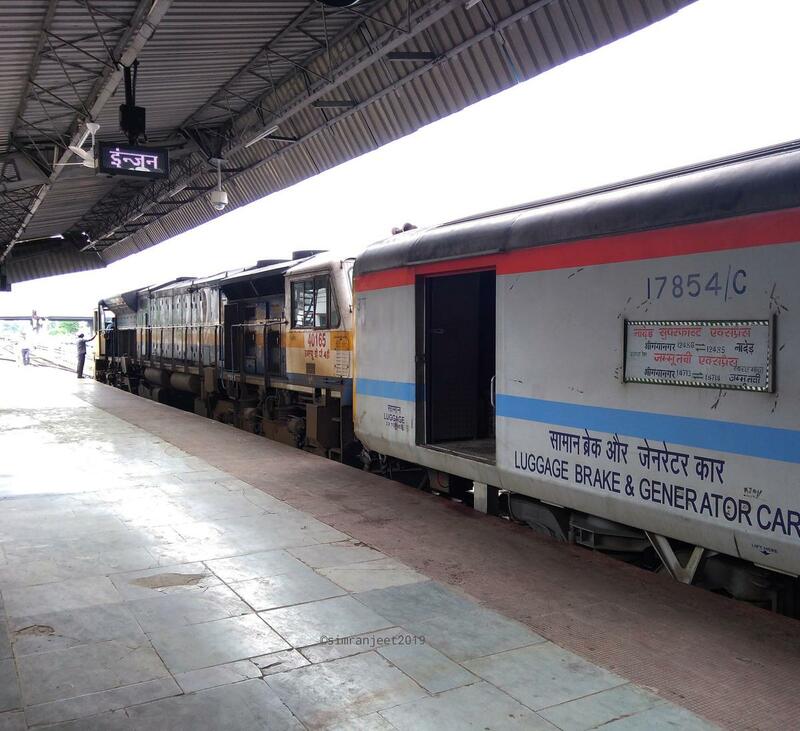 Date :- 5th july 2018. 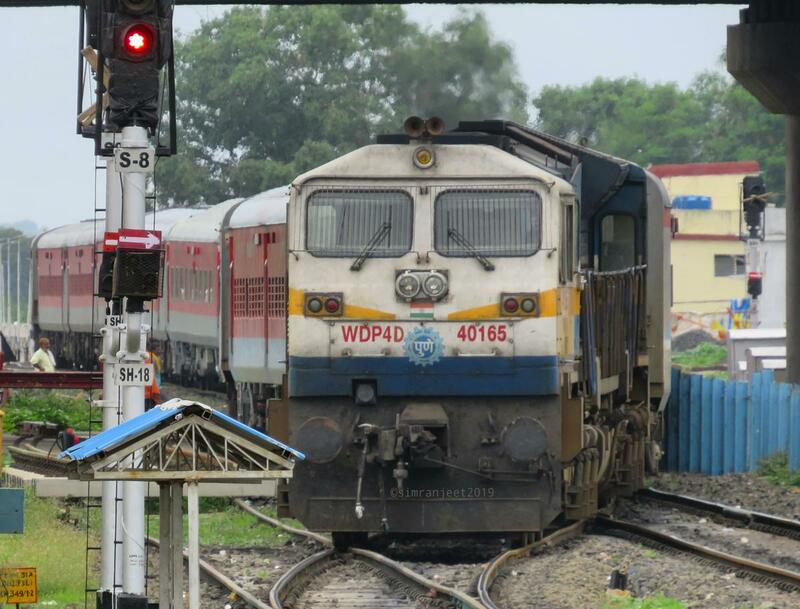 Pic :- 1) Tapovan Express with Kazipet Alco departs H.S.Nanded and greets Pune EMD which was waiting to shunt the rake of 12485 NED-SGNR Express. 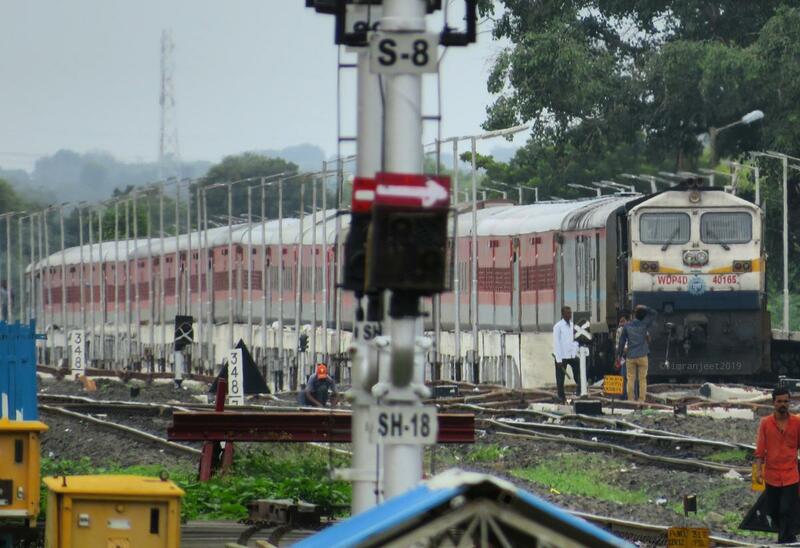 Pic :- 2, 3& 4) Pune EMD then starts Rake shunting of 12485 NED-SGNR Express to PF-1. 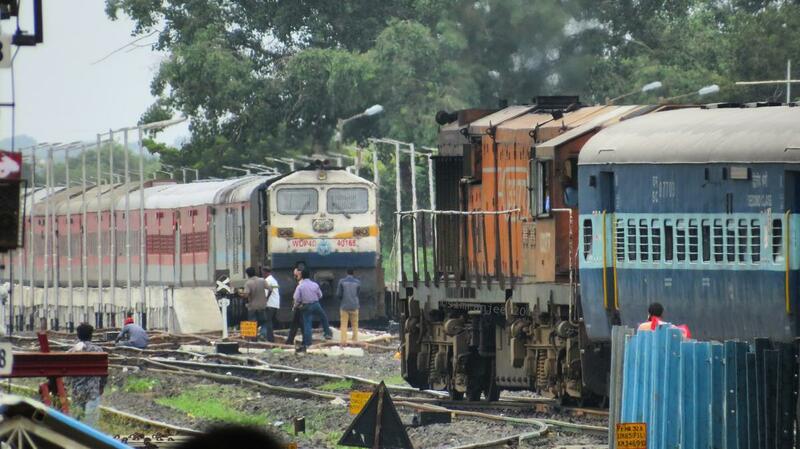 :- 5&6) Loco reverses and attaches to haul the train. 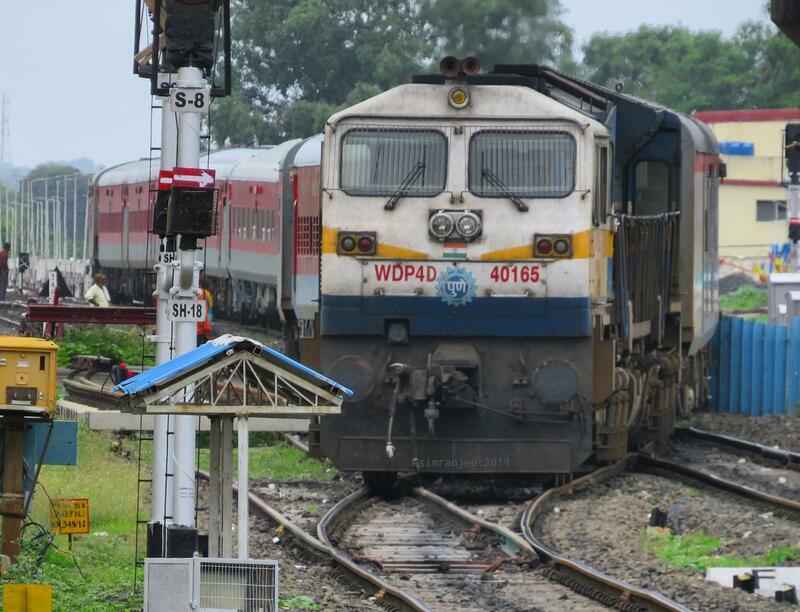 This loco will haul the train till Akola Jn from where GZB WAP-4/7/5 will Take over the charge.